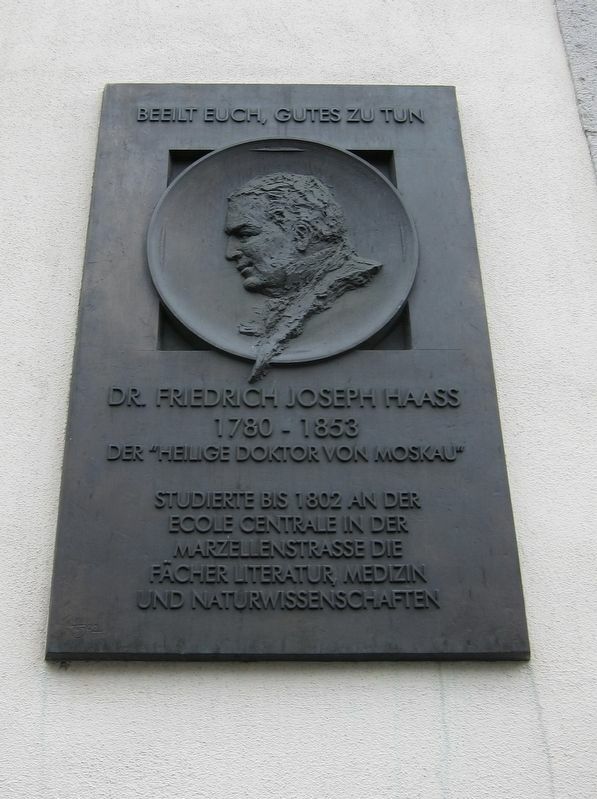 Der "Heilige Doktor von Moskau"
Dr. Friedrich Joseph Haass, 1780-1853, the "Holy Doctor from Moscow", studied literature, medicine, and biology until 1802 at the Ecole Centrale on Marzellenstrasse. Location. 50° 56.604′ N, 6° 57.361′ E. Marker is in Cologne, North Rhine-Westphalia, in Köln. Marker is on Marzellenstraße just north of An den Dominikanern, on the right when traveling north. Touch for map. 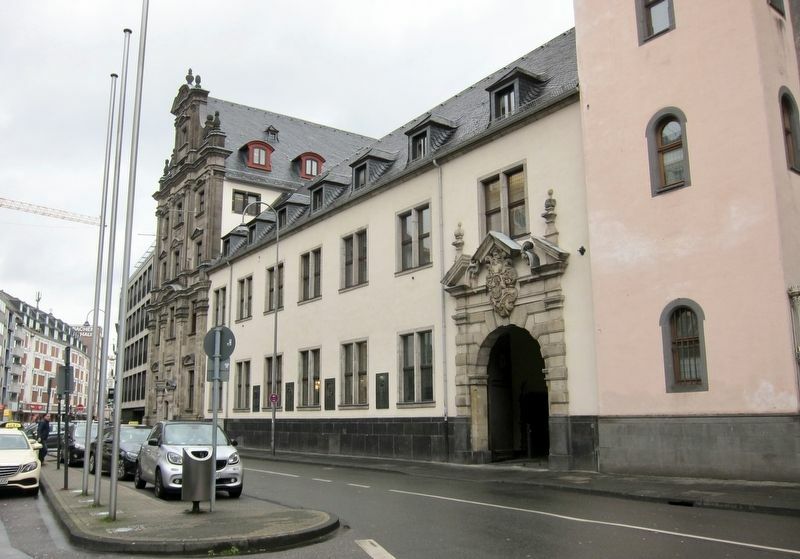 Marker is at or near this postal address: Marzellenstraße 32, Cologne, North Rhine-Westphalia 50668, Germany. Touch for directions. The marker is visible here as the second from the right of the series of four markers. (about 120 meters away, measured in a direct line); Dominican Monastery Site and Albertus Magnus (about 150 meters away); Seitenportal des römischen Nordtores/ Side Portal of North Roman Gate (about 210 meters away); Brauhaus Früh am Dom / The 'Frueh at the Cathedral' Brewery (approx. 0.4 kilometers away); Teilstück des Römischen Abwasserkanals / Section of Roman Sewage System (approx. half a kilometer away). Touch for a list and map of all markers in Cologne. More. Search the internet for Dr. Friedrich Joseph Haass. Credits. This page was last revised on April 19, 2019. This page originally submitted on March 21, 2019, by Andrew Ruppenstein of Sacramento, California. This page has been viewed 44 times since then. Photos: 1, 2. submitted on March 21, 2019, by Andrew Ruppenstein of Sacramento, California.